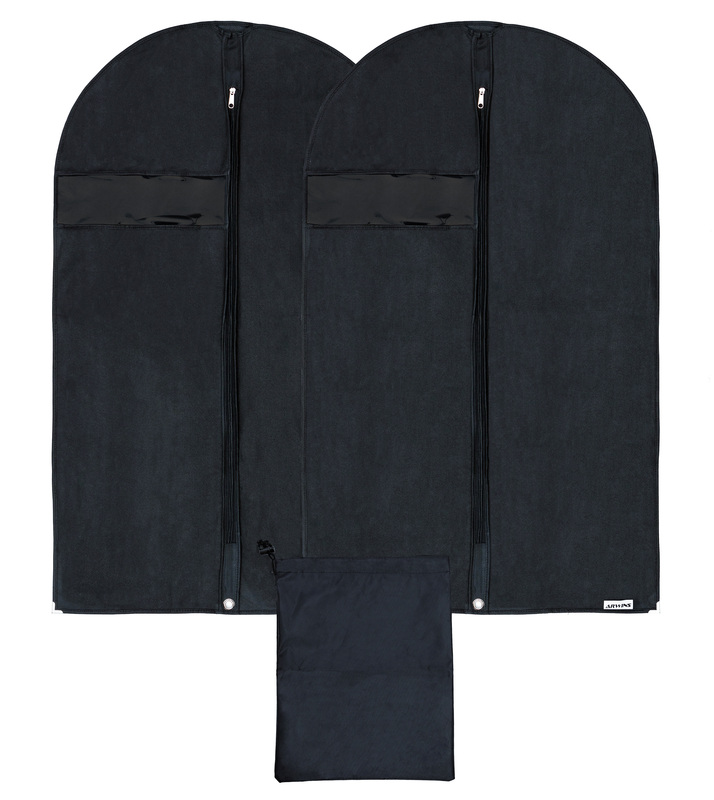 I just got these great garment bags, it includes to garment bags and one cinch bag for shoes. These are a great size, you can easily fit a suit or dress in them. They are 100cm long and 60cm wide. They are made of quality materials that will keep your garments dry and safe. They come with an opening so you can push the hanger through the top and hang them. I love that it comes with a cinch bag. I use this for my daughters choir dress and her shoes. I put the shoes in the cinch bag and put the strap over the hanger of the dress inside the garment bag so everything is protected and together. It works really well to keep the dress clean and safe until she needs it again. Great bags. Garment suit bag set of two, and a waterproof shoe bag, made of high quality acid free, breathable 110 GSM materials to protect your expensive clothes from moths, lint, dirt and dust. Extremely travel friendly and trustworthy long and short term storage options for your clothes and shoes. Packed with extra features: Quality sturdy zipper, shaped shoulders, see-through window, and stylish metal corners for ultra protection. Waterproof black shoe bag that comes with a drawstring. Measures 100cm long x 60cm wide. You can purchase these bags on Amazon!